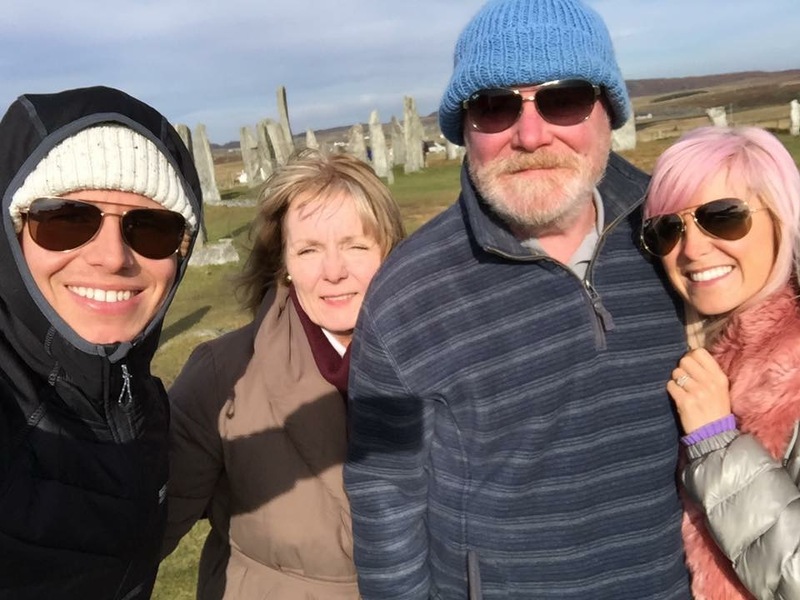 Last week a bucket list adventure was well and truly ticked off, as Lee, Haggis, my mum, dad and I returned from an island hopping tour of Bonnie Scotland. 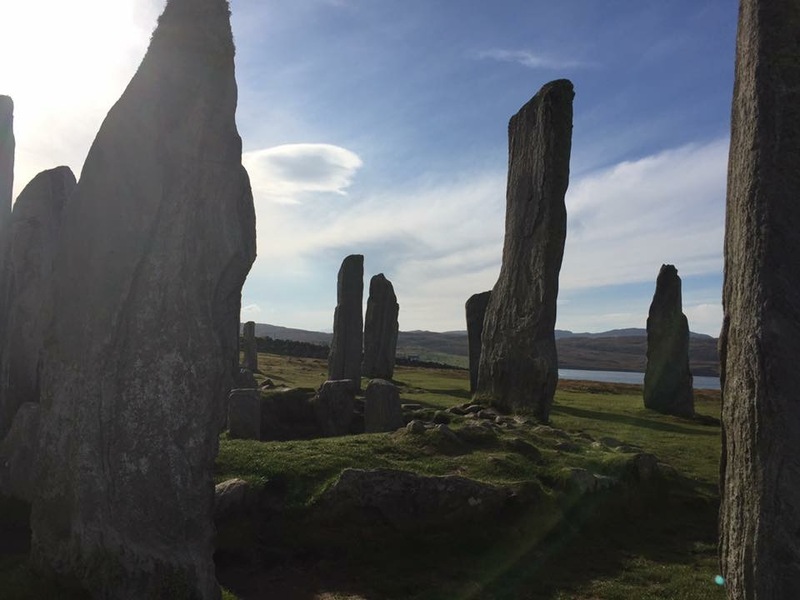 Calmac offer Hopscotch tickets that provide a great way to island hop and can also help you plan a route, encompassing the isles you wish to visit. 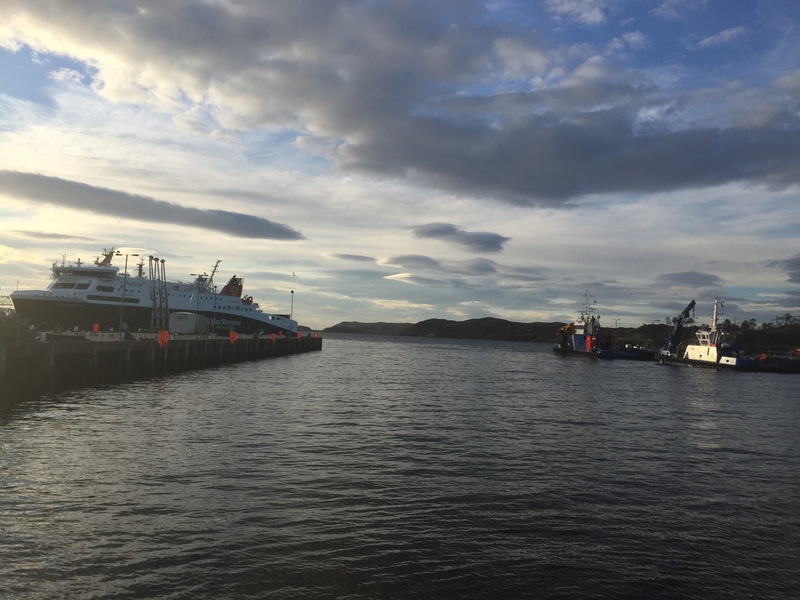 Check these out by clicking here and see below for a map courtesy of Calmac, which showcases their routes of both the inner and outer Hebrides. 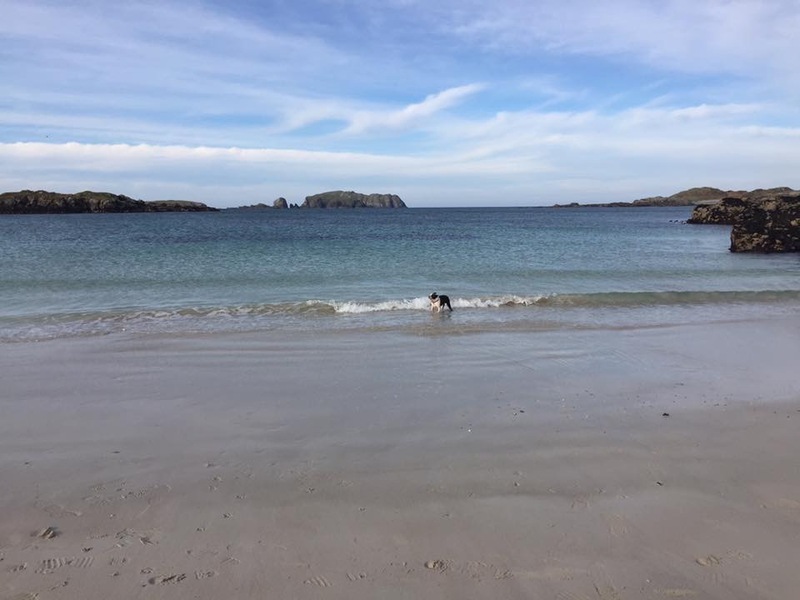 If you are thinking of taking your pet with you on this adventure, then you can with Calmac, as they offer specially designated areas for your pets with water and comfy seating for owners. Not only that but they were punctual and well organised so a big thumbs up from us. 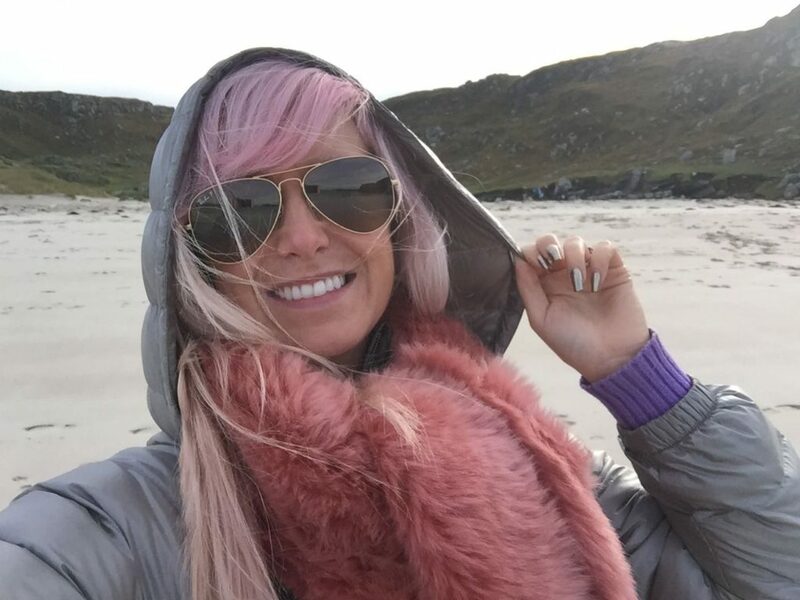 The Inner Hebrides are made up of Islay, Jura, Skye, Mull, Raasay, Staffa and the Small Isles and the Outer Hebrides comprise of Lewis, Harris, the Uists, Benbecula, Barra, Berneray, Grimsay, St Kilda and outlying islands. 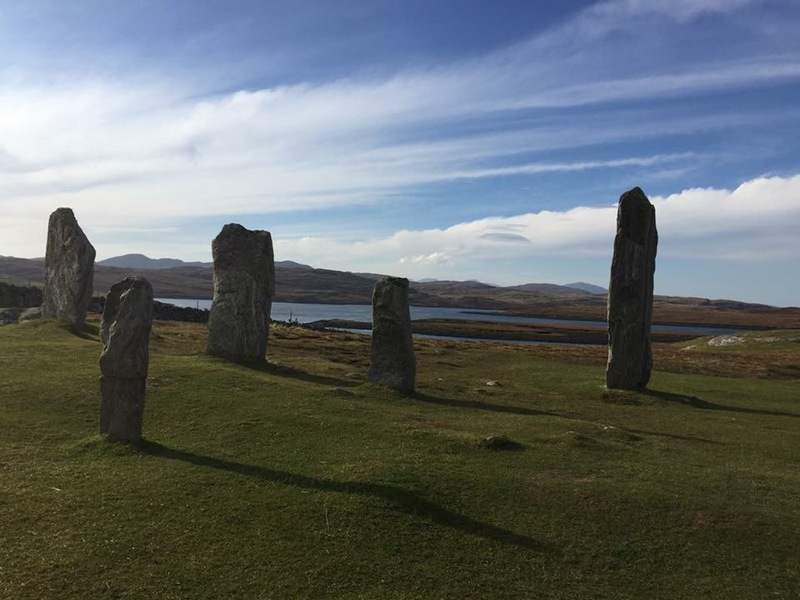 The Isle of Lewis and Harris are joined and so are actually one island. 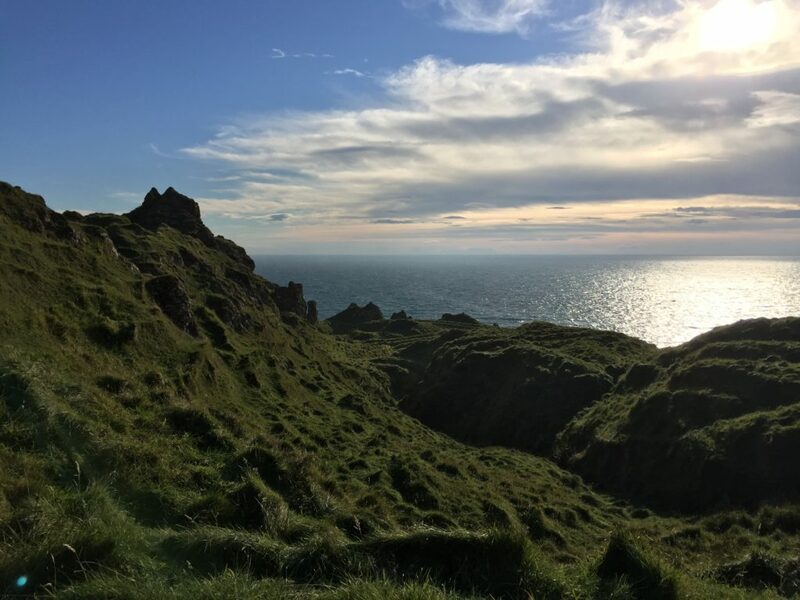 Their landscapes are widely celebrated for their rich heritage and natural beauty, which are celebrated as some of the most untouched habitats in Europe. 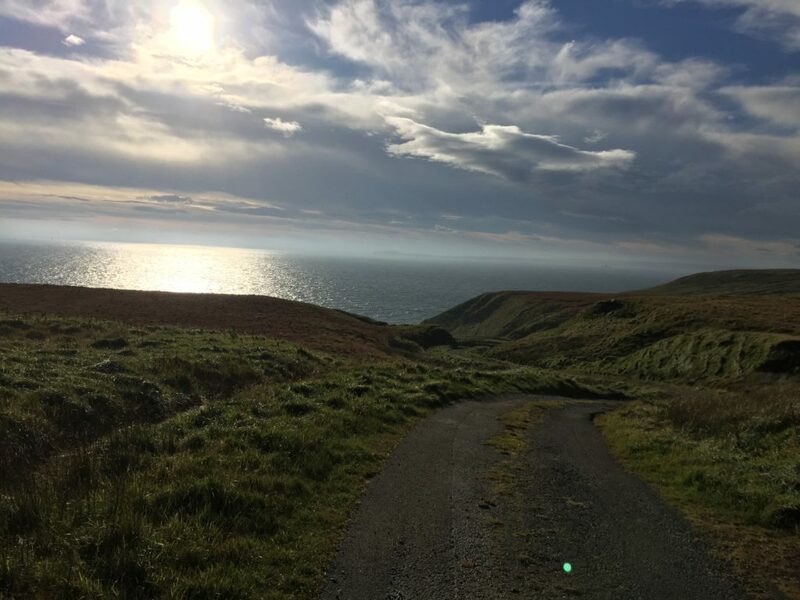 In this post I am going to pull out some fave places, top tips and personal observations covering the Lewis section of the trip. For over 5 years VisitScotland was a client of Blue-Chip (the Edinburgh marketing agency I worked at after leaving uni). 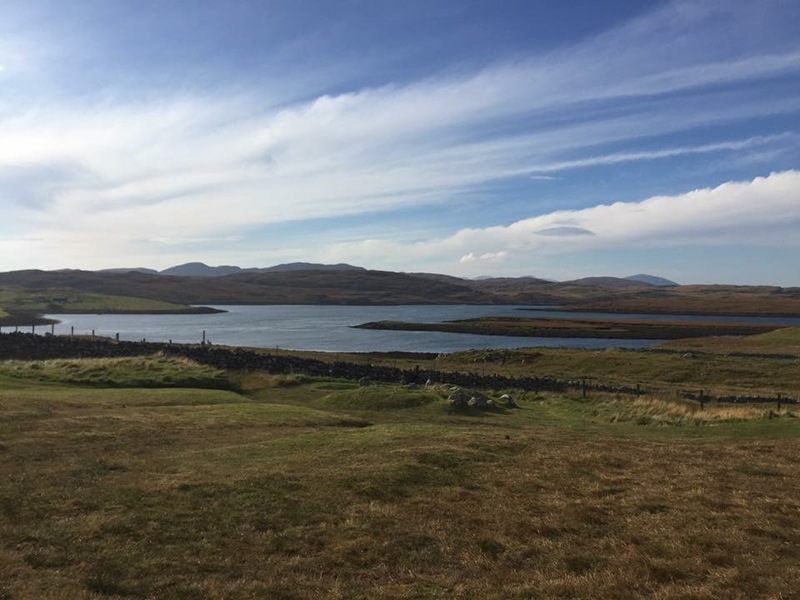 During this time, it was part of my role to write copy about every area of Scotland and in doing this, it was always the Hebrides I was most inspired to visit. In short, the landscape is just as enchanting as you read it to be. It is also more vast than I imagined, with slightly lunar-esque vistas (could be down to the noticeable lack of trees or the flat and rocky outcrop). 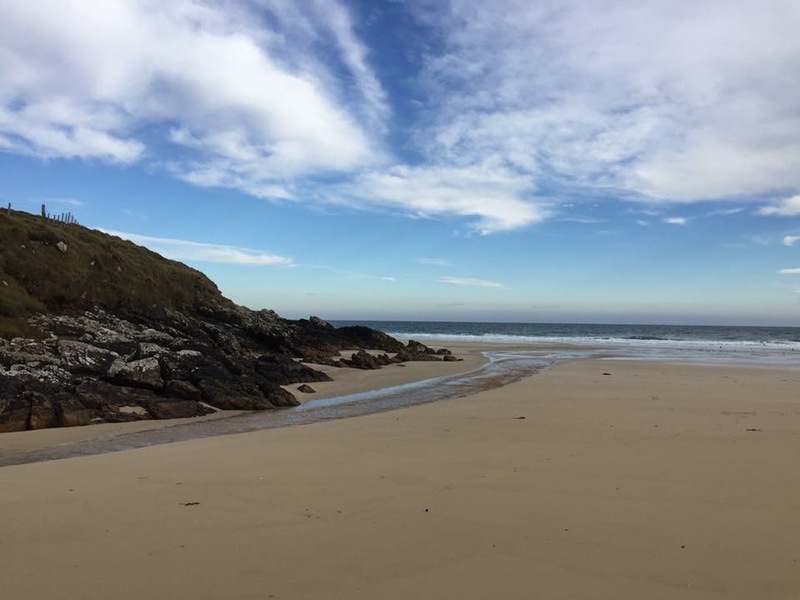 You can get to every unmissable site from Stornoway in under an hour, which is ideal if like us you are time short. And the beaches are genuinely second to none. 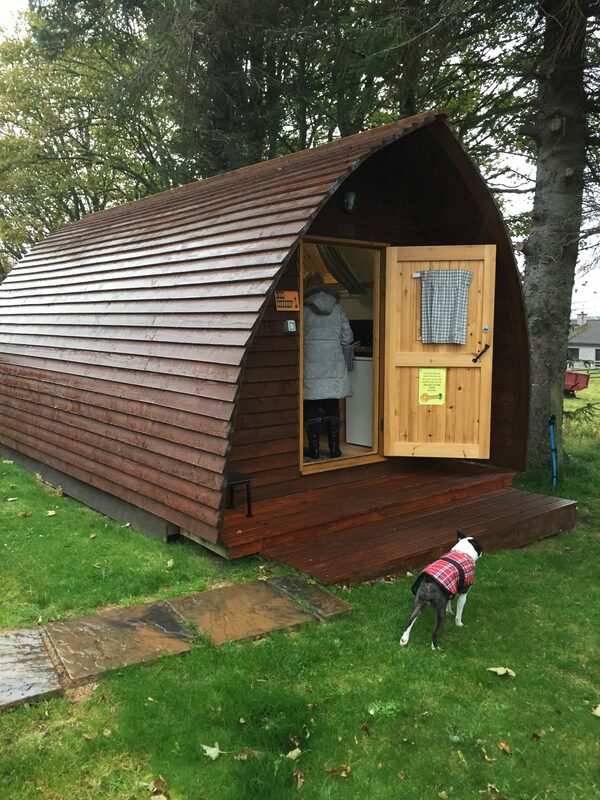 Laxdale Holiday Park was comfy enough and wee Haggy was welcomed in the Wigwam accommodation. The downside? Sleeping amidst 4 snorers and having to walk 5 mins for a toilet and a shower. Although it has to be said, with a heater in the wigwam (that could go so hot you felt like you were in a sauna at times), this really was glamping at its best. Tip! If you are planning a camping trip similar to that which Laxdale offers, take flip flops for the shower. I always get the heebeejeebees a bit in communal showers (a feeling mainly ascertained from a certain hostel in Rio during the carnival), regardless of their cleanliness. Beware! We were told before leaving that Stornoway literally shuts down on a Sunday for the church, but we didn’t really expect that to be true! Well it is true, with the exception of the Caladh Inn and the Caberfeidh hotel for Sunday breakfast. With neither being dog friendly, we just got take out breakfasts from the Caladh Inn each morning. I also read the HSI is open from lunch and then the Balti House was open from 5pm. 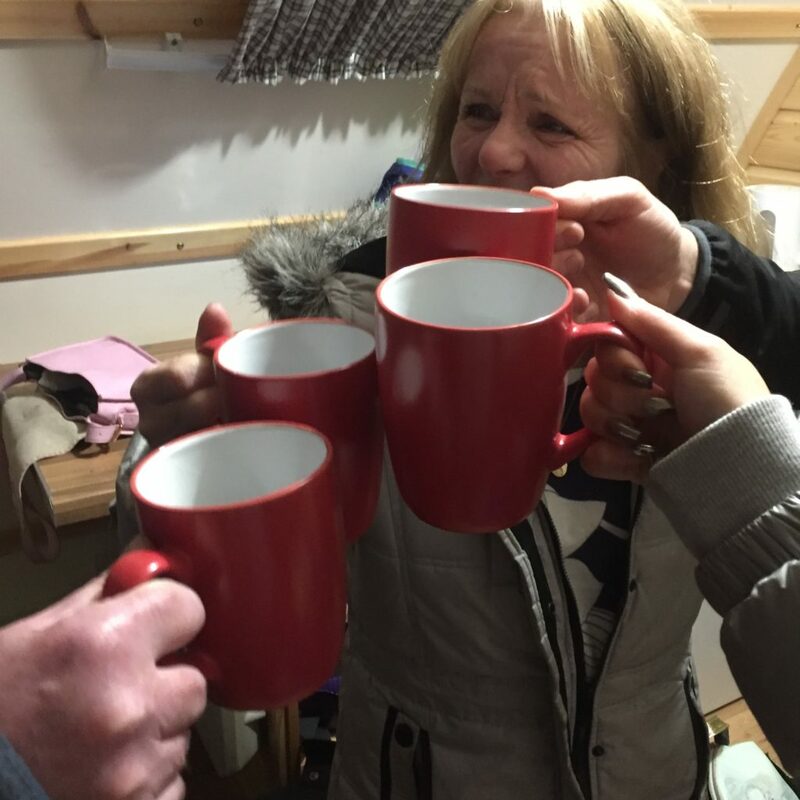 We ended up taking an Indian takeaway back to the wigwam, alongside cans of juice which is all we could get from the restaurant to add to our mugs of gin (thanks to mum and dad for remembering to bring the essentials). 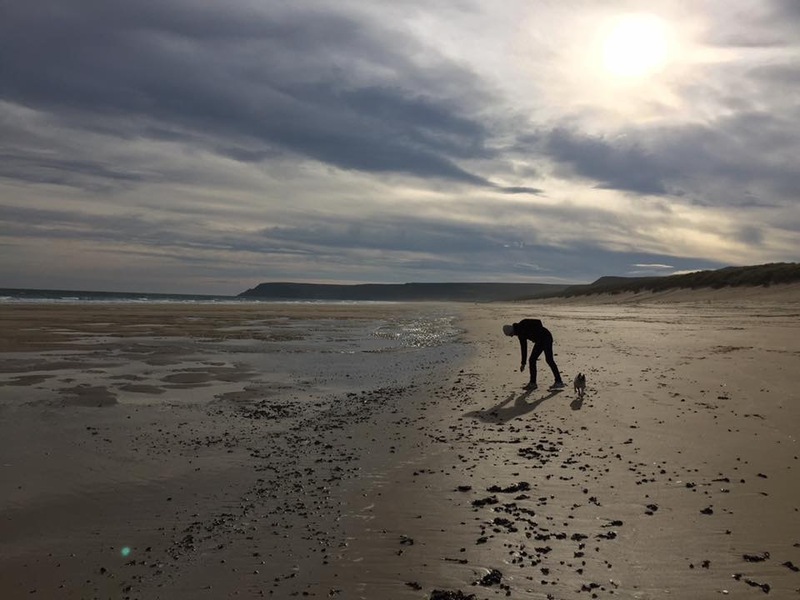 We struggled for dog friendly places in Lewis, which was a real surprise and honestly a bit disappointing. I just kind of took it for granted that the islands would be accommodating to dogs, given they are a fave for walkers and explorers alike. Tip! 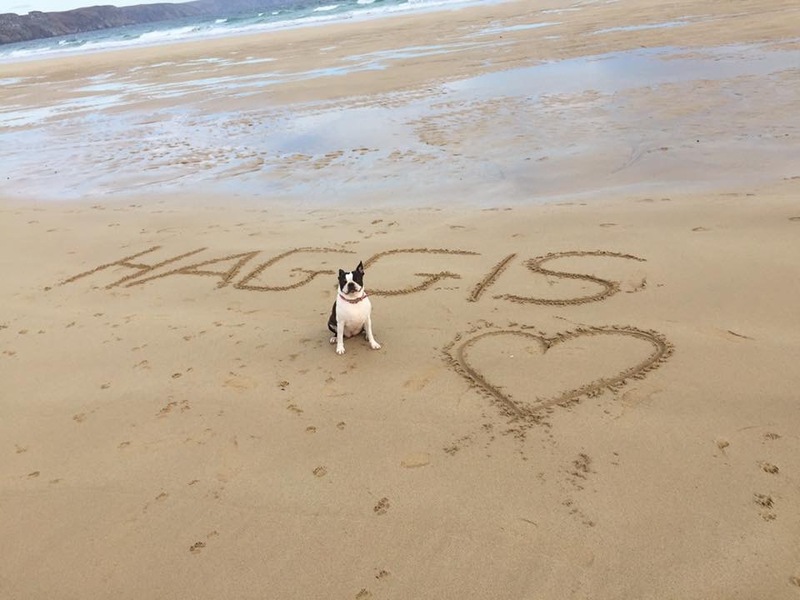 Download the ‘Dugs n’ Pubs’ app before setting off an any trip with your dug. This is a great way to find out wherever you are in the UK, the establishments that are fur friendly. The good thing about the island however, is that almost every enchanting site that you want to visit is located in the great outdoors. 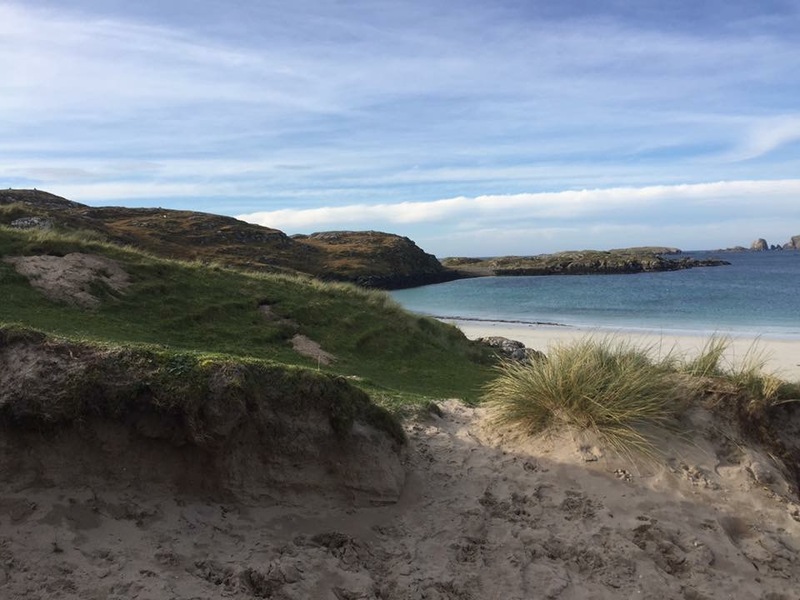 In one day we drove to and explored Giordail Beach, Tolsta Beach (right up to the ‘bridge to nowhere’ that marks the end of the road, Callanish Standing Stones, and a reconfigured Iron Age House on Bostadh Beach in Great Bernera. To give you an idea of how accessible things are, we set off from the Caladh Inn at about 10am and covered all of this and making it back to Stornoway for about 3.30pm. Tip! Google maps is your friend on this island as 3G more often than not worked fine. 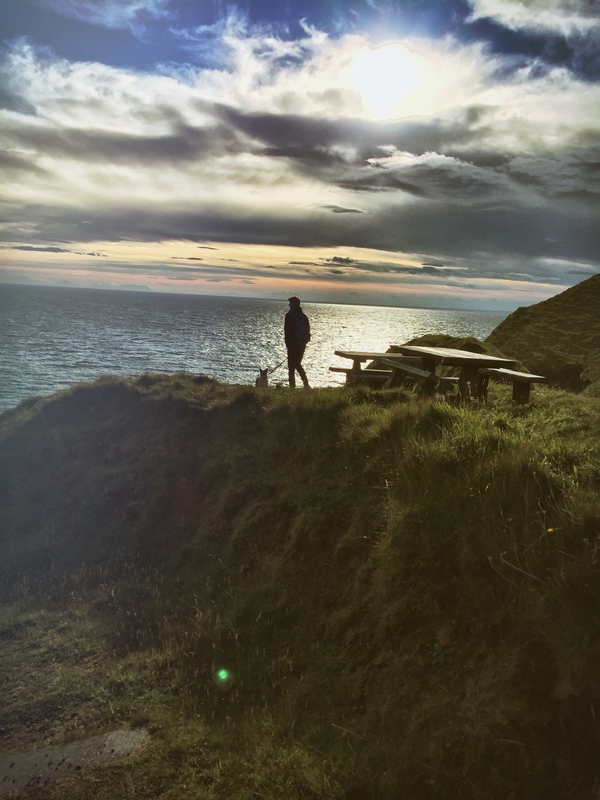 Each of the places we explored offered their own uniqueness, making each well worth a visit. 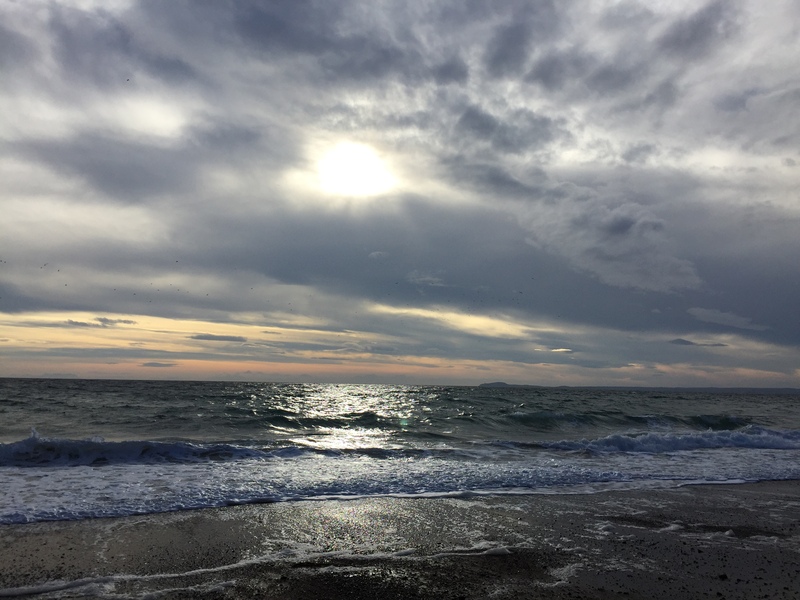 At Giordail Beach, the rather steep walk down to the beach allowed for an awe inspiring view. 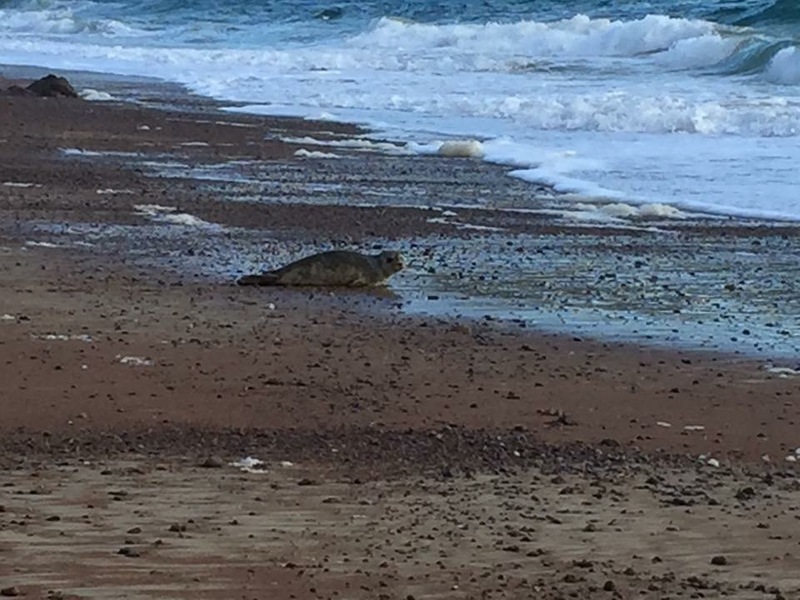 And the beach although small and breezy, allowed us our only glimpse of sealife. 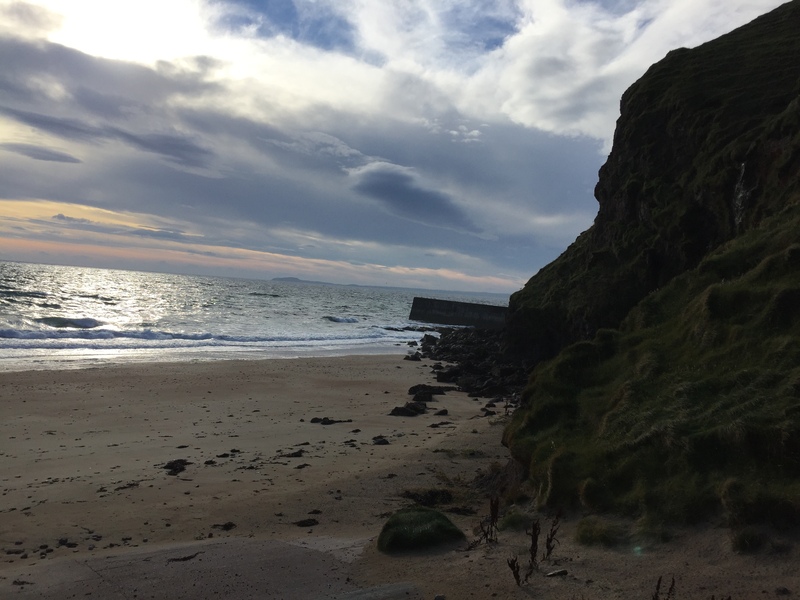 Tolsta Beach was stunning with white sands and turquoise waters. The beach commands a great length of coastline and reminded me somewhat of Byron Bay in Australia. Head a little further along the road and you will come to Garry Beach, which is famous for it’s sea stacks. 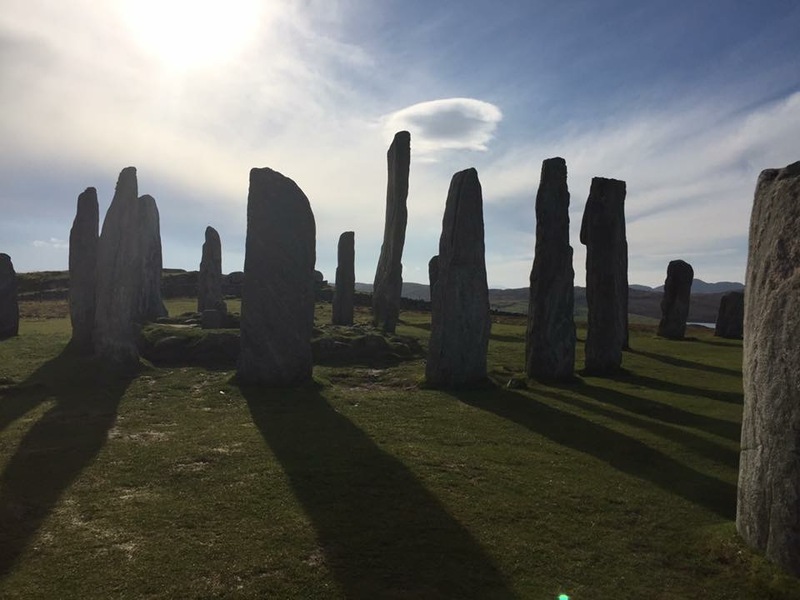 At Callanish there are three stone ring sights, but Callanish 1, which sits just above the visitor centre is by far the most impressive. The mysterious thing about this stone circle is that we do not know why our ancestors built it. 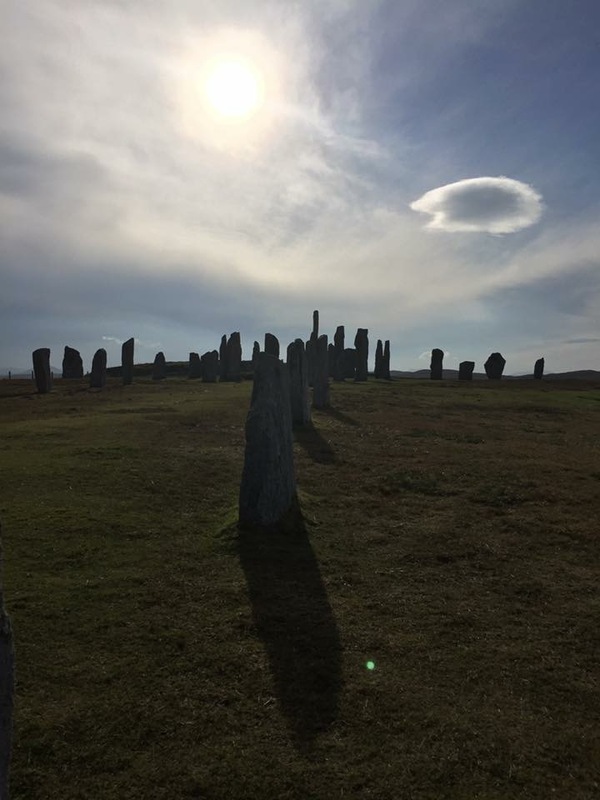 There are theories based around the zodiac, but nothing is set in stone (don’t mind the pun) and I have to say that I loved the enigmatic energy of the place, which is over 5000 years old. 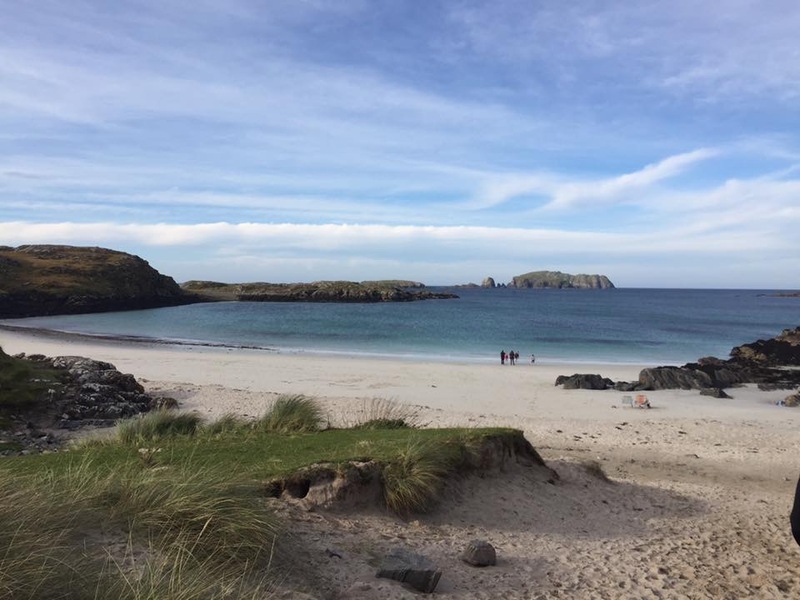 Our final stop for the day was Bostadh Beach in Great Bernera. There was sign as we drove to it saying ‘no dogs allowed by order of the grazing committee’, but we risked it and kept Haggis on the lead on the walk to the beach itself. This was a fave for me. There was little wind, the turquoise see was calm and the sand was especially white. 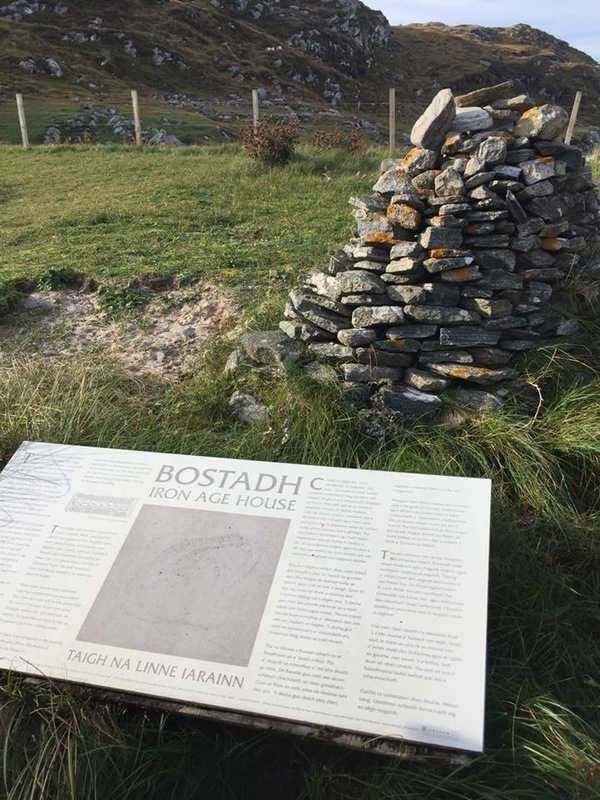 What’s more, there is a reconfigured iron age broch that you can have a wander around. Beware! Sheep are abundant on the island so be especially vigilant on the roads and when you are walking with a dog. Stornoway town is nice (although not as pretty as I had anticipated). Shopping-wise, the stores are either gift shops or department-esque stores within which you feel like you have been transported back in time. The only high street store you can find is Boots. 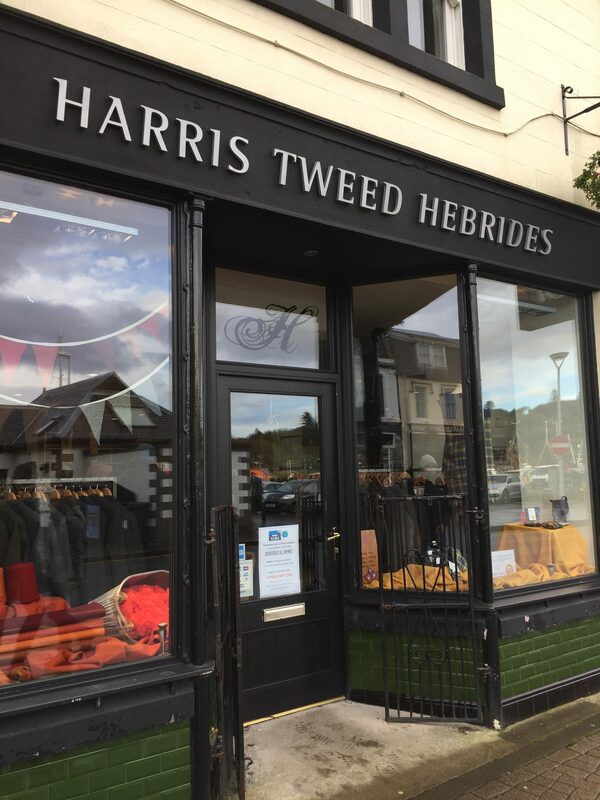 The best shop for me had to be the Harris Tweed Hebrides store, which was packed full of items made from the uber chic fabric. Harris Tweed Hebrides, in my opinion produces the most fashionable pieces of the three mills located on the island. You can read more about the three mills at the Harris Tweed Authority’s website and I would definitely recommend checking out the Look Book of Harris Tweed Hebrides by clicking here. 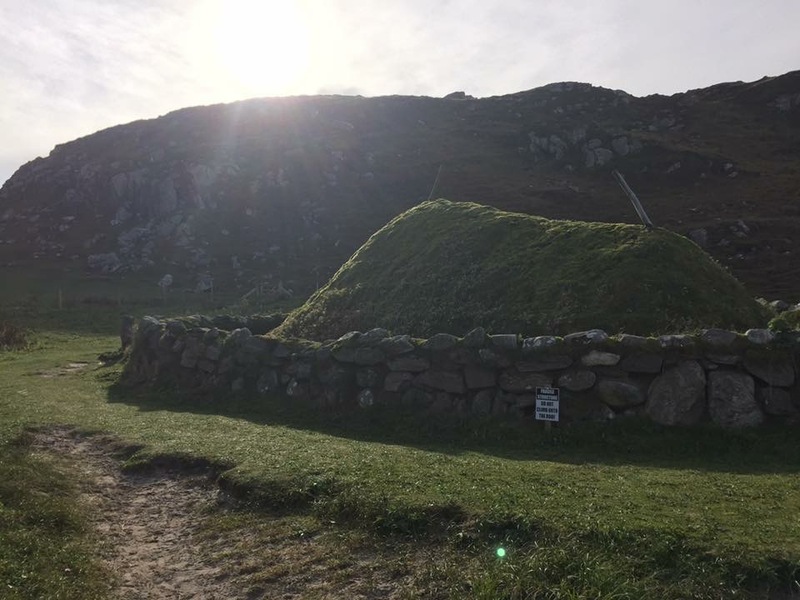 Have you ever been to Lewis? If so I would love to hear what you thought of it?